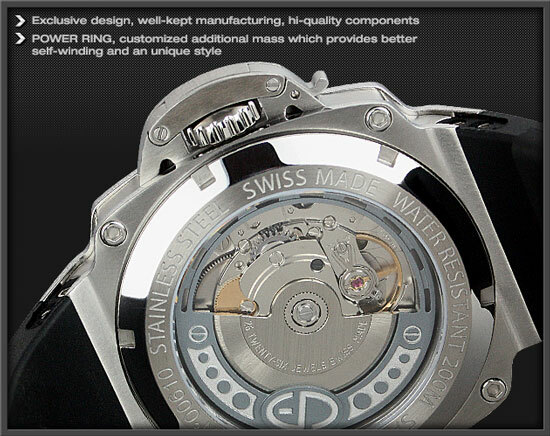 We have designed all of our automatic watches to be extremely durable and they last for many years. Although some signs of wear and tear are unavoidable, this luxury watch is created to keep its elegant appearance. Primarily this is down to the choice of materials and level of craftsmanship involved in production. An automatic watch wind up; thanks to the wrist movement, so it’s a living product which displays a show through the back glass, between its balancer’s inexhaustible oscillations and the refinement of its tiny accurate mechanic. At the first glance we recognize an automatic watch because its continuous second hand movement. Before leaving our workshop every watch is subject to rigorous quality control checks to ensure your automatic watch will stand the test of time. Every component of our mechanical automatic watch are meticulously handcrafted and assembled to ensure optimum quality levels. 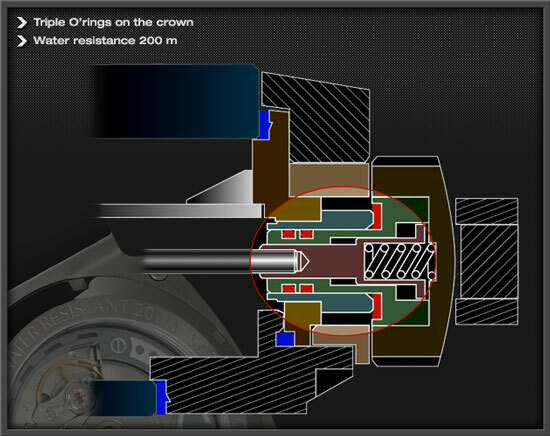 The movement is integral to the reliability and accuracy of the watch. That is why we use a ETA 2824-2 or SW200 calibres. 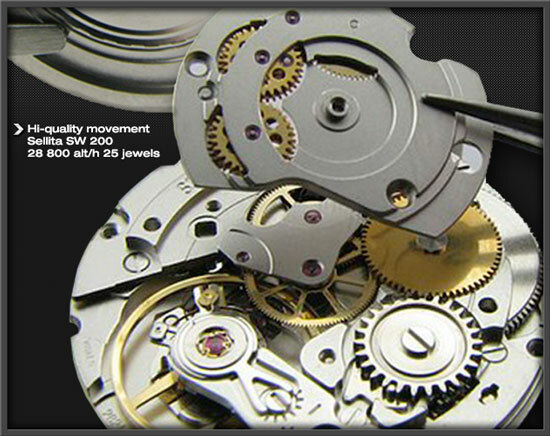 This mechanism is extremely accurate and is widely used within the watch industry. It is also very durable and highly easy to maintain. Even though the bidirectional system of self winding automatic movement is excellent, we modify them with another exclusive innovation: The Power Ring which is attached to the rotor and increases the self-winding force. By just wearing our automatic watch for a few hours a day the Power Ring achieves a good power reserve. The construction of all our automatic watches is designed to be waterproof. The patented Smart Locker system guarantees perfect water resistance of the winder. 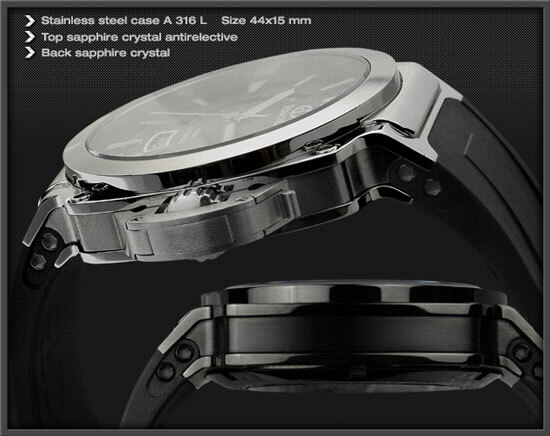 We only design waterproof automatic watches that are subjected to pressure tests of 200 meters in depth. Before dispatch every piece is conducted a reliable test in a hi-tech controller, which ensures water resistance in any condition. 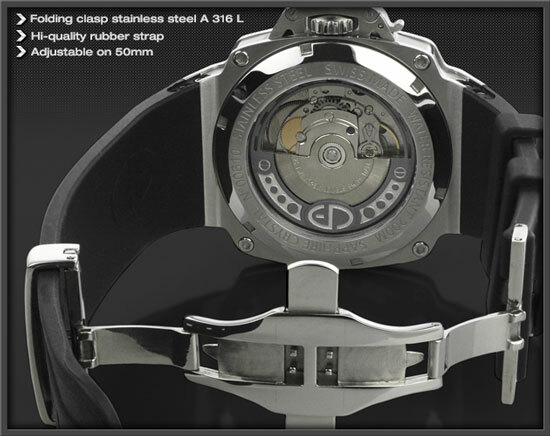 All of the straps on our automatic watches are constructed from a high-end hypoallergenic rubber. This ensures exceptional levels of durability and hygiene for the recipient. Our straps are equipped with easily adjustable folding clasps. These rubber straps are also practical for swimming and diving activities. The reason we chose a rubber as the material for the strap is because we believe it offers numerous advantages. Fundamentally all our straps are durable, comfortable and hypoallergenic. The strap is ergonomically designed in accordance with wrist shape and is seamlessly attached to the folding clasp. There is also a reinforced fastening with an additional second screwed pin, which prevents the risk of breakage.